A Bob's Life: Did He Eat an Elf? 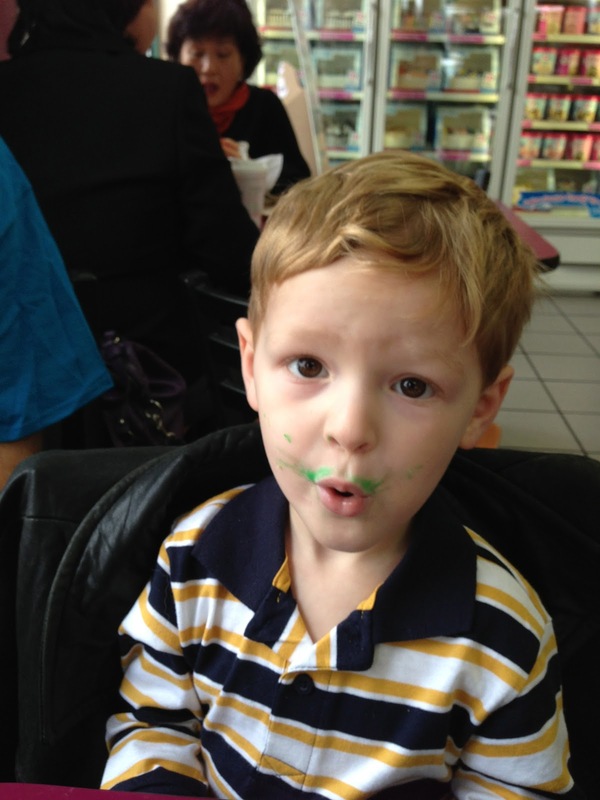 Having a donut with Lucas after church on Sunday was a lot of fun. The had these really cool star shaped, cream-filled green frosted donuts. Mmmm, they looked good. Lucas had one. 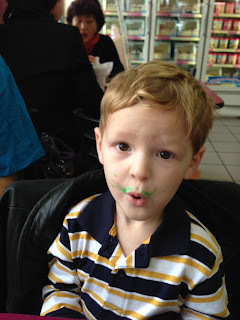 By the time he was done, he had a green mustache and it looked like he had eaten an elf! But he had a lot of fun with the donut. Fortunately, I didn't get caught in the spray pattern. I was not covered with the green frosting. But I did enjoy the thought that I would send him home with his parents to be cleaned up.